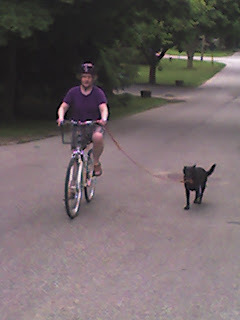 Lilly likes to go bike-riding with Becky...but she isn't so good at hammocks. 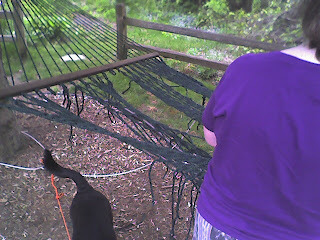 She almost hung herself, while chewing out the supports underneath her. We found her in time though, and she is fine.